All grades of petrol and diesel will climb by up to R1.34c/l come Wednesday April, 3, the department of energy announced late on Saturday. 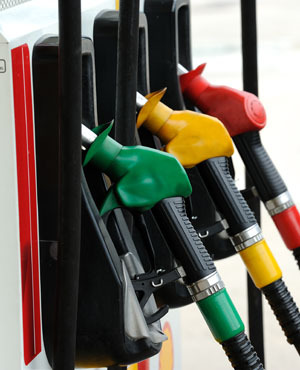 Motorists will be paying close to R15/l of petrol for the first time this year. Energy Minister Jeff Radebe noted that April is an important month in the fuel price calendar to revise road and pipelines tariffs as well as fuel and Road Accident Fund levies, to be implemented into the price structures of petrol, diesel and Illuminating paraffin (IP). "Their total contributions to the fuel price increase is about 26.00c/l in Gauteng whilst the international factors amounted to about 106.00c/l on petrol and 56.00c/l on diesel and IP." Domestically, the increase in the Fuel and Road Accident Fund Levies by 15.0cpl and 5.0cpl, respectively, as announced by the Finance Minister Tito Mboweni in his Budget Speech in February has been included in the new fuel price adjustment. There has also been a hike in transport costs. The increases in primary transport cost are attributed to an average annual increase of 10.96% in road transport tariffs and an annual increase of 10.95% in pipeline transport costs announced by the National Energy Regulator of South Africa in March. Increases in primary transport cost will differ in the 54 Fuel Pricing Zones due to the different transport cost increases applied in the 54 pricing zones. For example, the transport costs for petrol and diesel will increase by 5.7 cpl in Gauteng and 0.3 cpl in coastal areas. Maximum LPGas Retail Price: 171.00 c/kg increase.